Arizona Beagle Rescue relies on donations from volunteers, adopters, and everyone interested in helping us fulfill our mission of saving homeless beagles throughout Arizona and beyond. Often, we have a specific need which requires us to raise extra money. AZBR has helped beagles win their battle against cancer, overcome the blind world of cataracts, and find freedom from puppy mills. Our various ways to donate have enabled fellow beagle lovers to donate thousands of dollars to beagles in their transition to their forever homes. Arizona Beagle Rescue greatly appreciates the continued support to this wonderful organization of which we are so proud. Please email donations@azbeaglerescue.com if you have any questions! Arizona Beagle Rescue's 2019 Calendar is available for sale! 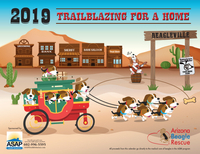 The 2019 calendar tells the trailblazing stories of courageous beagles traveling from other states to Arizona for a new home! It is the perfect holiday gift item that lasts all year long! Some beagles come to us with very few belongings. So, we can always use "dog stuff" donations: buckle collars, leashes, food bowls, travel crates, medium/large kennels, bedding, dog beds, brushes/combs, toys, treats or premium dog food. Email donations@azbeaglerescue.com to arrange for pick-up. Imagine if you could save money shopping online and save beagles at the same time! If you shop at Goodshop, Amazon, or IGive.com, be sure to add Arizona Beagle Rescue as your Community Rewards Organization. When you do, every time you shop, a donation is made to Arizona Beagle Rescue! 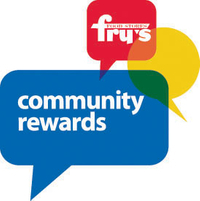 For Fry's Food Stores, click here for more information on how to register AZBR as your charity of choice. You can choose to have your EBATES.com Big Fat Check sent to a charity, organization or another person. Simply go to Account>Account Settings and select the link below the update button that says "Want to send your check to someone else?". 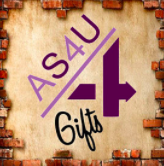 Save 10% on items from the ASolution4U Gifts Etsy Shop. Type "AZ BEAGLE RESCUE" in the comment section when you order and Arizona Beagle Rescue will also receive 10% of your order amount. The Kuranda Partner Program will donate 10% of the sale price to Arizona Beagle Rescue when you purchase a Kuranda Dog Bed using the link above!!! PawPosse.com specializes in quality dog supplies. They will donate 10% of your purchase to Arizona Beagle Rescue when you use promo code: azbeagles. Goodshop will donate up to 20% of what you spend online, as long as you have selected Arizona Beagle Rescue as your cause and use the Goodshop portal to enter the retail site. Shop at any of over 5,000 retailers. You can even donate to AZBR just by searching the web!